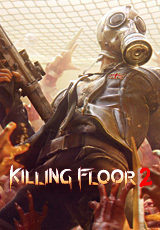 Killing Floor 2 a successor to an incredibly fun and success of the original game, released in 2009. Everything you loved this game back with a huge number of new features, characters, monsters, and weapons, as well as the epic story. Follow the information! The Killing Floor 2 players go deep into continental Europe, where the epidemic is caused by a sunken experiment Horzine Biotech lab leads to destructive and reversible effects, instantly paralyzing the European Union. Barely one month after the completion of the first part of the game, the monsters took over most of Europe, and human civilization is on the verge of extinction. Link does not work, the government dissolved, and the military forces systematically destroyed. Those Europeans who were ready by the end of the world and those who are just lucky, hiding .. But there is still hope. A group of civilian and mercenaries joined together to confront the epidemic and by funding Horzine, created throughout Europe stand-alone basis. Tracking Activity monsters, players will make forays into the infected areas and conduct sweeps. - Incredible dismemberment. In the game Killing Floor 2 naturalistic reaches incredibly high. Making his way through hordes of enemies, players will leave behind severed limbs and scenic rivers of blood. But be careful, if you linger you also torn to pieces. - Single player or co-op for six. The choice of players - a wide variety of characters. Embark on a meat grinder together with friends, or try to stop the monsters alone. - Creepy zombies. Meet new enemies and favorite monsters from the first part of the game. Managed advanced artificial intelligence of your opponents will shy away from powerful attacks, attacking the weak players to gather in flocks and hunt for you, making the game interesting as ever. - A new approach to the "complexity". While most games are limited to setting the health and strength of opponents, in KF2, the difficulty level affects the behavior of Zombies: new attacks, new opportunities, new strategies. Be ready to surprises! - A unique blend of weapons. Modern Firearms, powerful home-made shells, classic historical cannon and finally arsenal Mad Scientist: in the game Killing Floor 2 you will find a unique blend of deadly weapons. - Advanced system of perks. New and revised perks from the first part of the game, significantly affect the character development and a variety of play styles. - Hot melee battle. Killing Floor 2 reverses the approach to fighting - Apply crushing blows to enemies. Всё нормально, активировал, наслаждаюсь игрой! Спасибо большое ! Ключик пришел сразу и активировался без проблем. Хочу подарок ! Все пришло сразу! Спасибо! Хочу подарок! Товар получен, всё отлично. Хочу подарок.